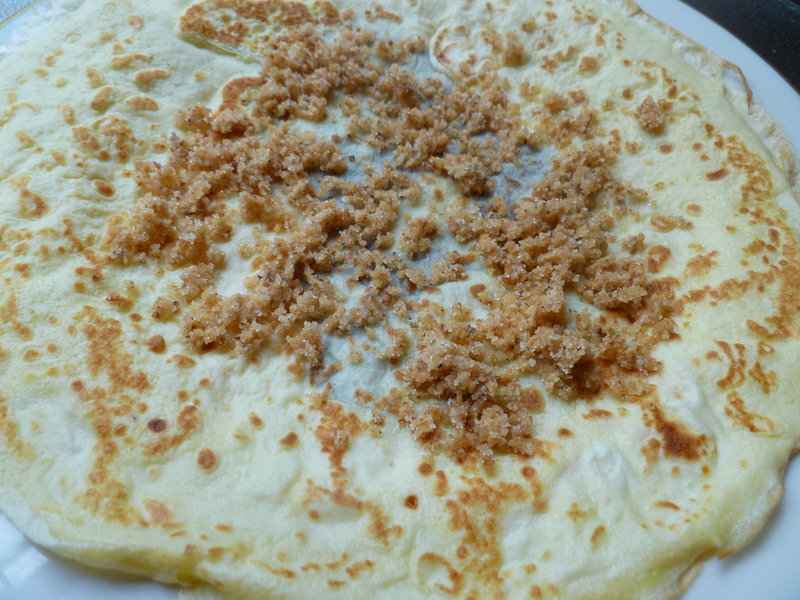 Like Sardi’s in New York or Maxim’s of Paris, Budapest’s Gundel’s is one of those restaurants that people may have heard of even if they aren’t enthusiastic travelers and restaurant-goers. Gundel’s opened in 1910. Today there are most definitely other contenders for the title of ‘Best Restaurant in Budapest’, but Gundel’s longevity and history give it a special institutional stature in the city. 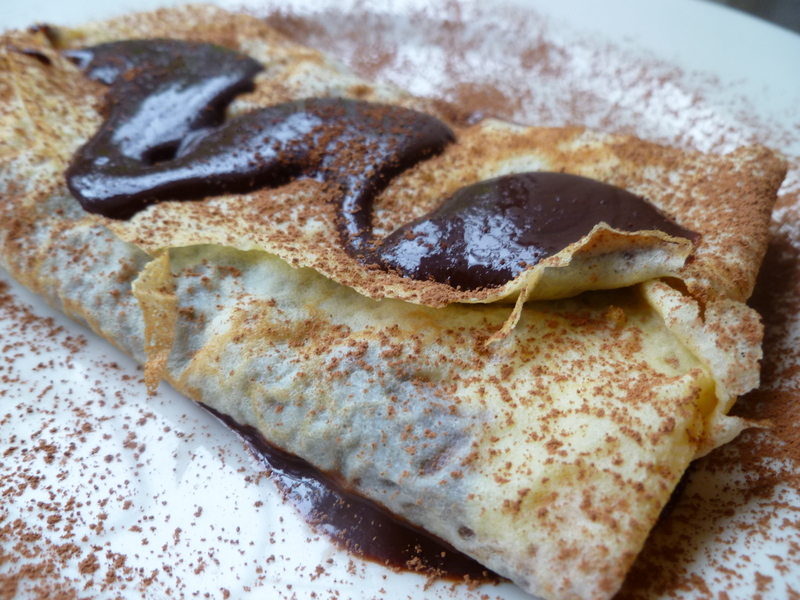 The fact that this chocolate and walnut crepe appears on restaurant menus all over Budapest as ‘Gundel palacsinta’ (Gundel crepe)” illustrates the point. 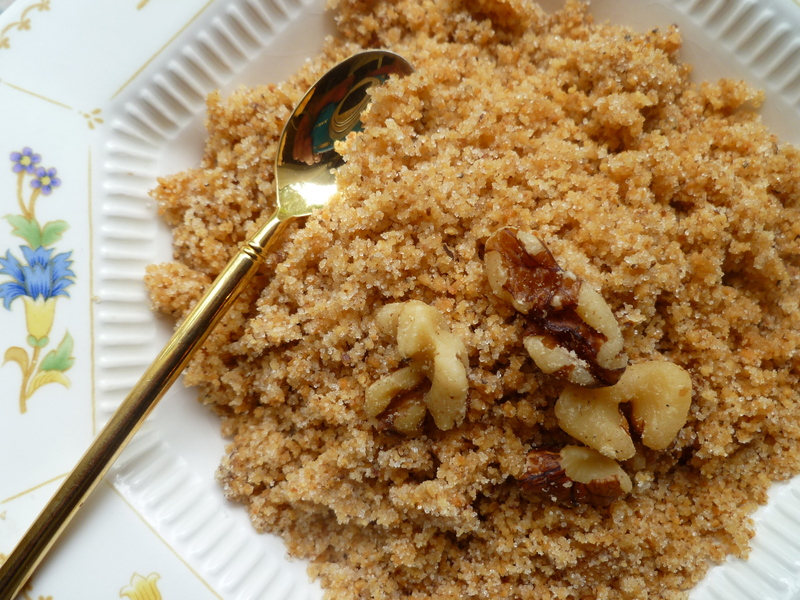 In its original form, the dessert includes rum and raisins, as well as walnuts and dark chocolate. 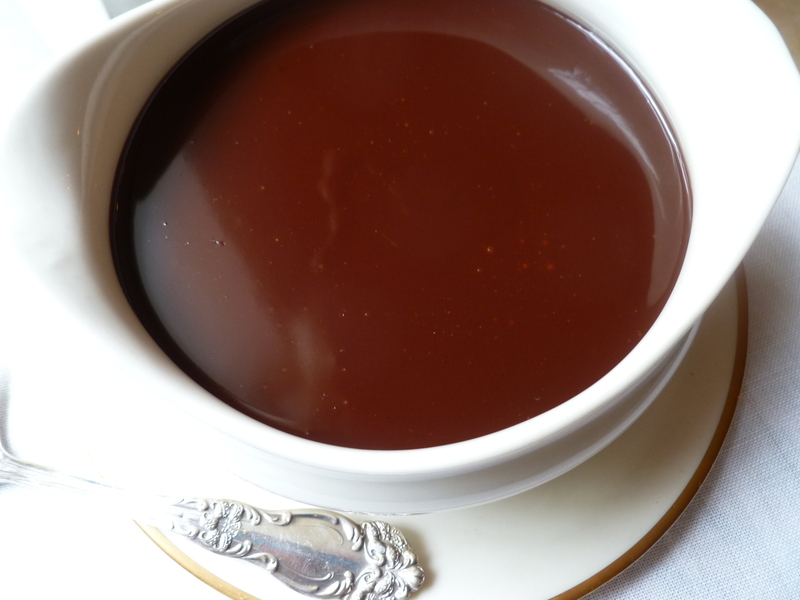 However, classic recipes, like good institutions, are not rigid, and if you ask a Hungarian waiter to adapt a Gundel Palacsinta to suit your taste (as the one in this post has, for example, been modified), he will not frown and tell you it can’t be done. He will smile and say, “Persze”–which means: “Sure”. 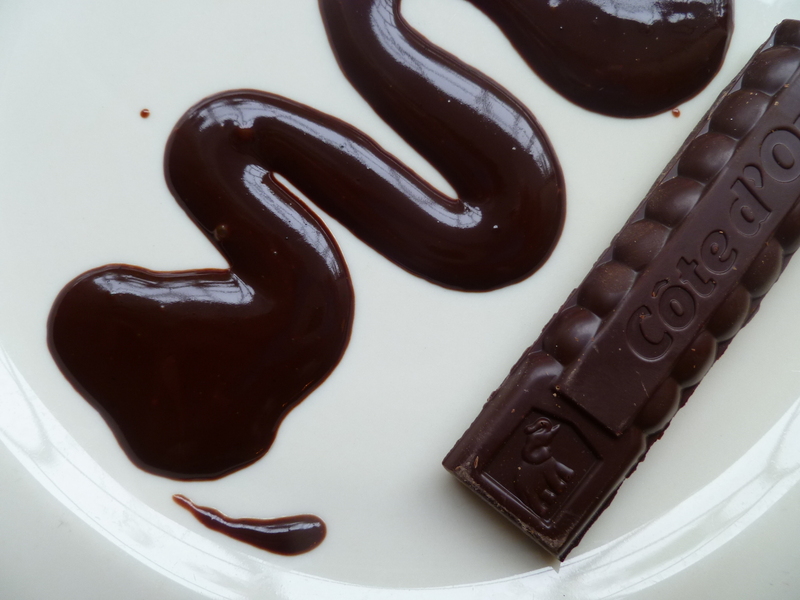 Without the fruit and rum, the dark chocolate and ground walnut combination is still a very Hungarian formula and still, by long association, Gundel’s. 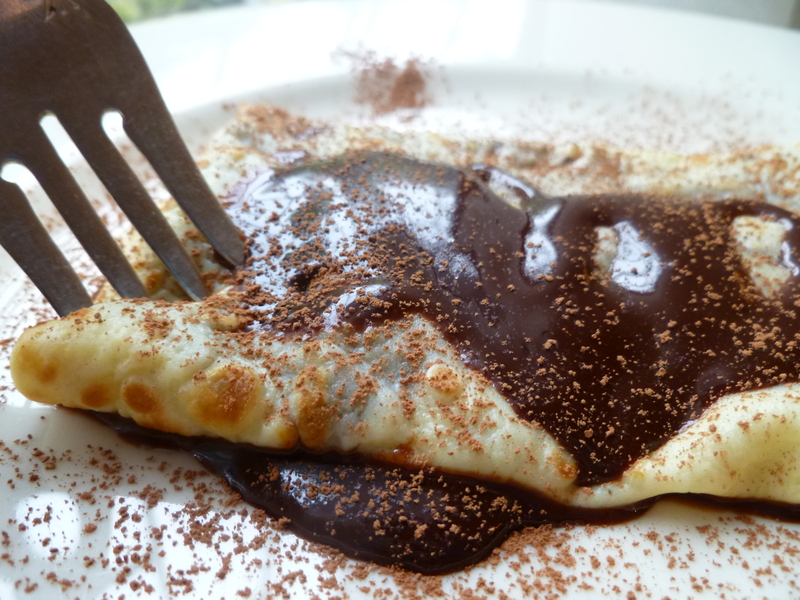 A Note: There are several parts to making Hungarian Chocolate Crepes–but they are all short, easy steps and, except for putting the dessert together on plates, may be finished ahead of time. 3. 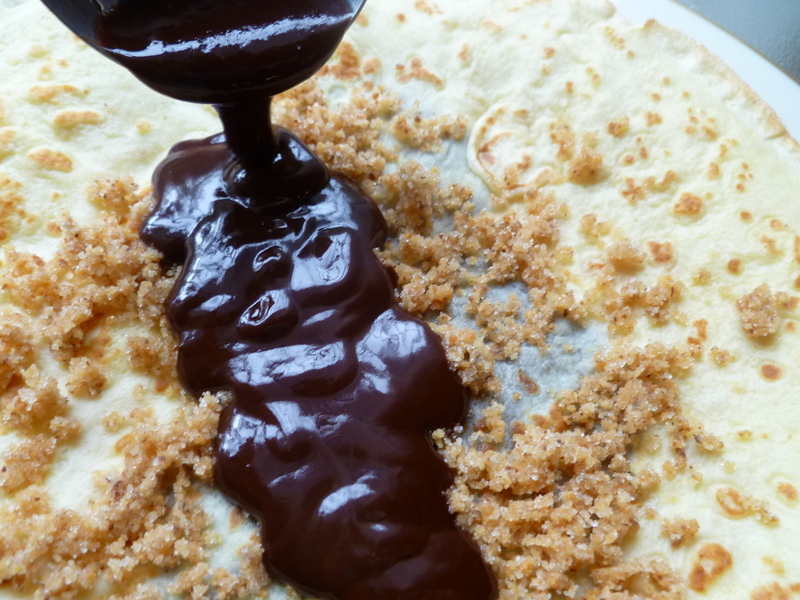 Add the vanilla and set the sauce aside until you put the crepes together. Reheat it briefly before using it. Any leftover sauce keeps well refrigerated for many weeks. 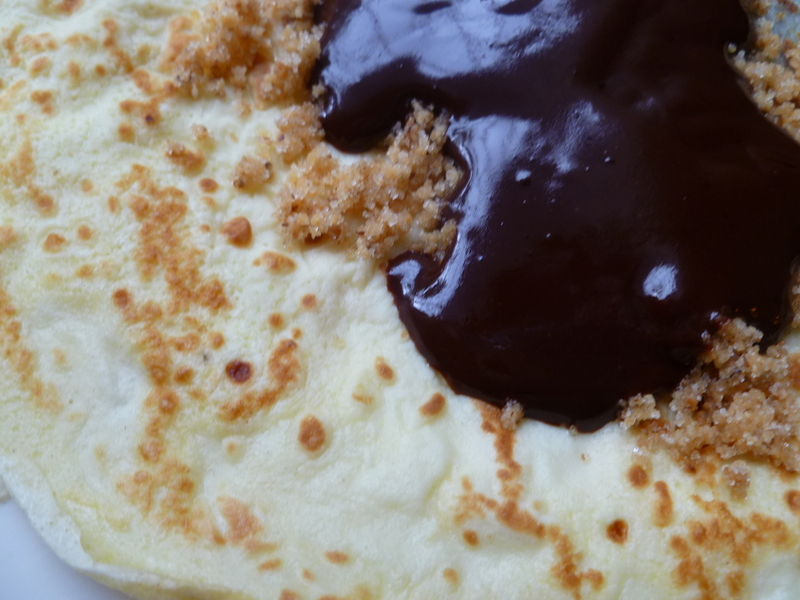 A. Mixing the batter: The batter will make better crepes if it’s mixed a couple of hours ahead of time and left to stand at room temperature. 1. Mix the flour and salt together in one bowl. 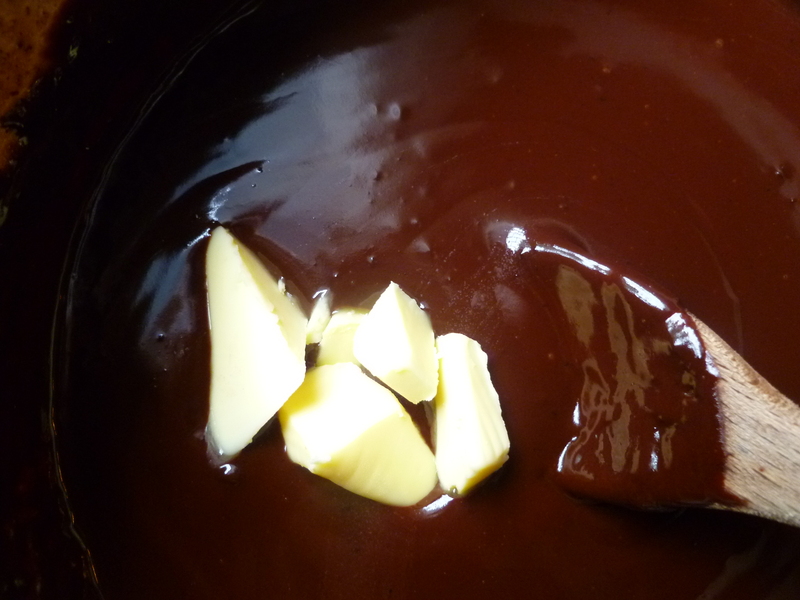 Beat the eggs in a second bowl and gradually add the flour and salt mixture while continuing to beat with the mixer. 2. 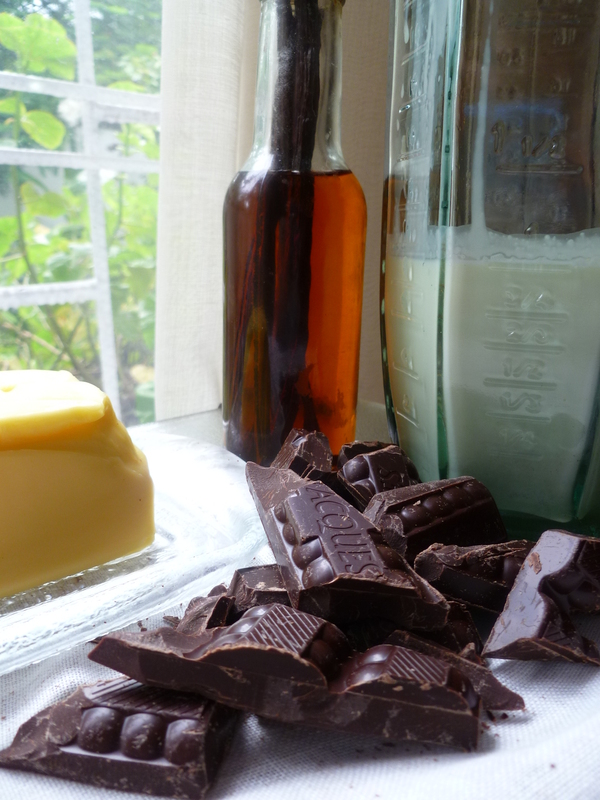 Still mixing, gradually pour in the milk, butter and cognac. 3. 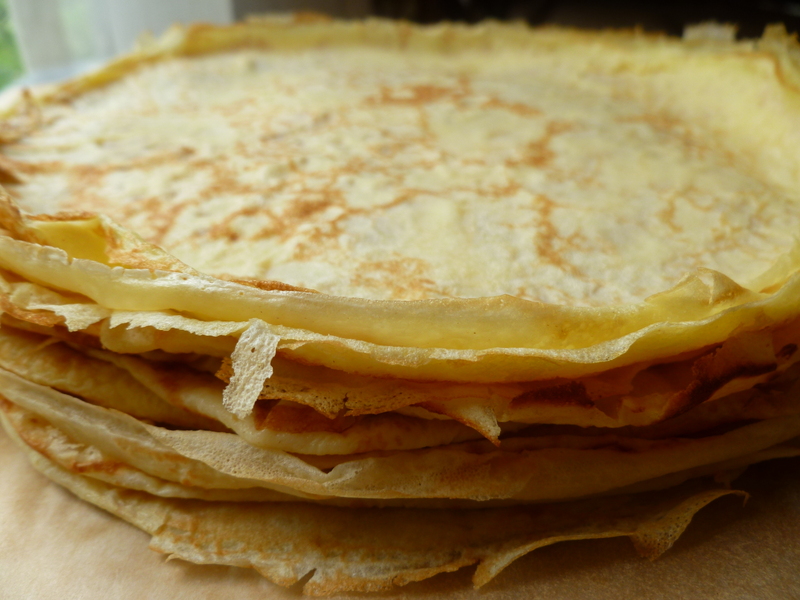 If possible, leave the batter at room temperature for a couple of hours before making the crepes. 1. Rub a little oil all over the pan with a paper towel. Heat the pan until it is hot, as you would if making pancakes, and pour in about 1/4 cup of batter, swirling it around over the bottom of the pan to cover it. 2. 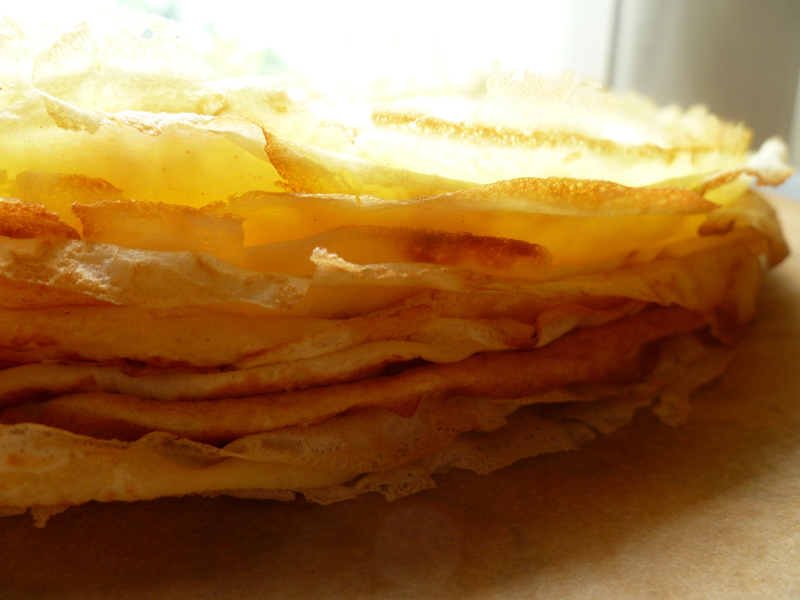 In a minute or two, when the bottom is golden and the top is dry, turn the crepe and fry it a little more. 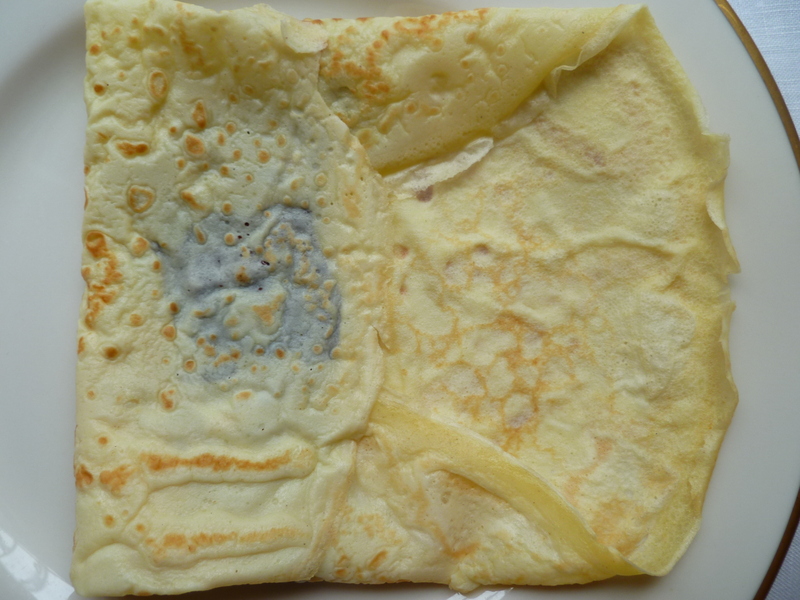 Transfer it to the napkin-lined plate, cover it, and continue, wiping the pan with the oiled paper towel between crepes. 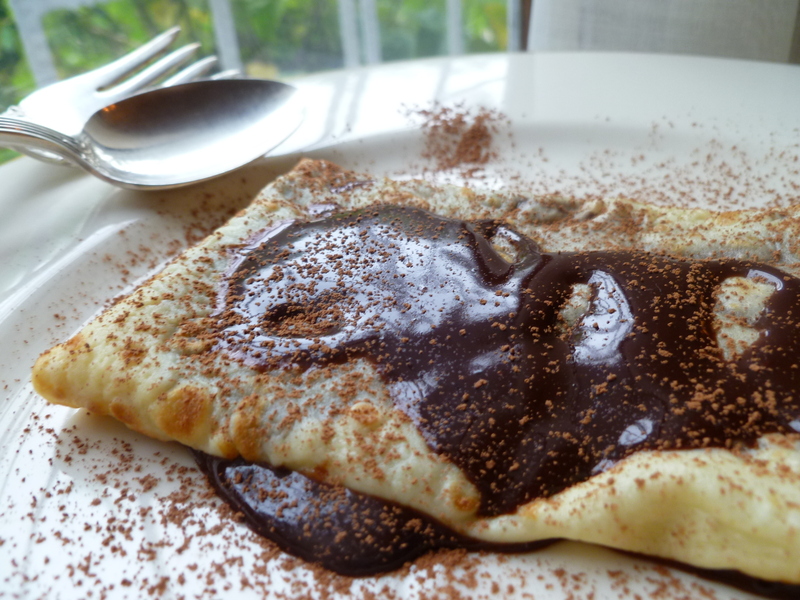 Basically, crepe-making becomes easy with practice. Whatever sort of pan you use, after a few tries, you will figure out the best cooking time, heat and best amount of batter for that pan. 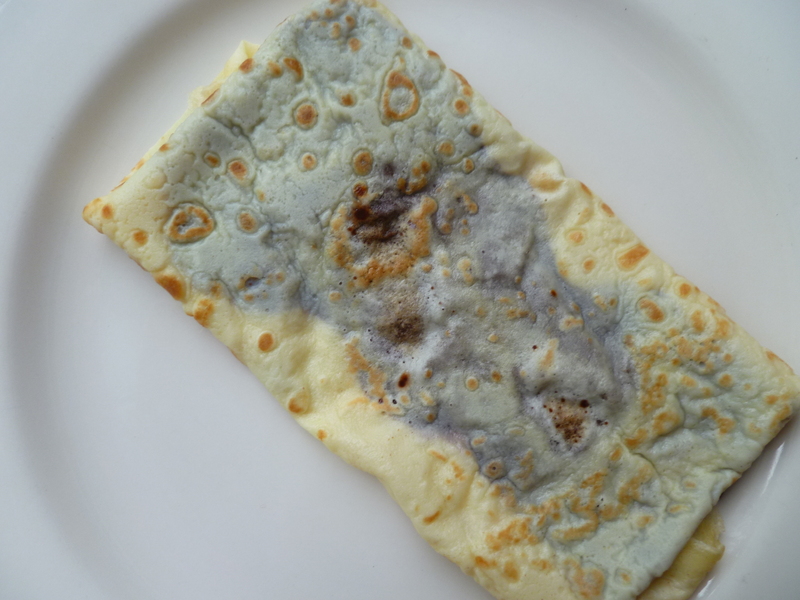 Crepes freeze very well. 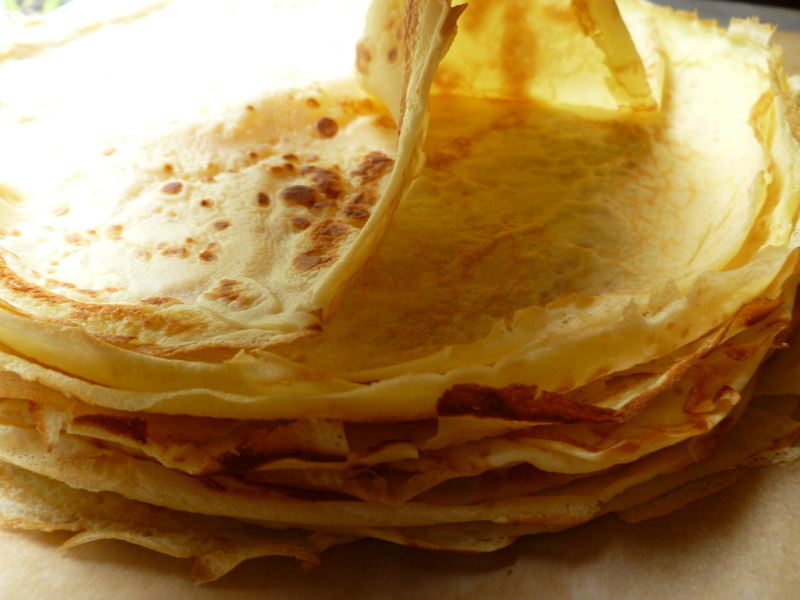 Place them between sheets of parchment or waxed paper, and wrap them in plastic wrap. 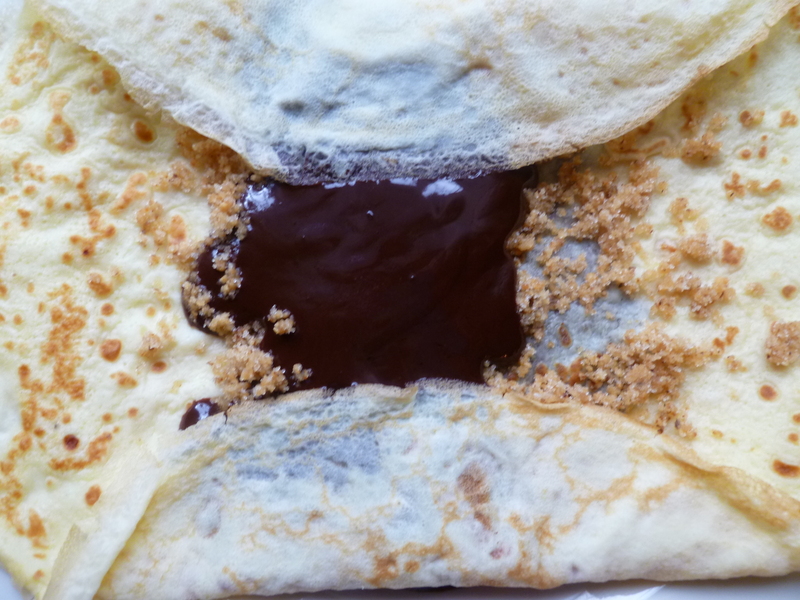 By separating the crepes between sheets of paper, it is easy to take out just as many as you want at a time. 2. 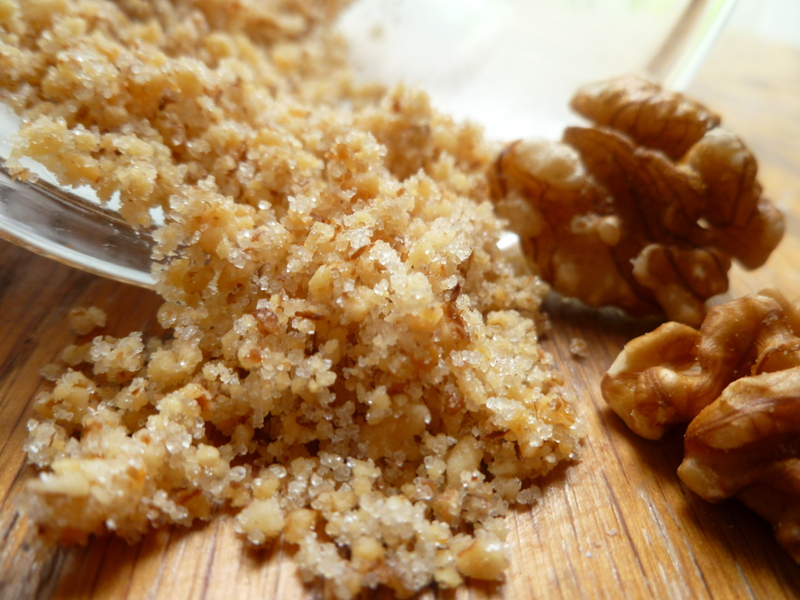 Cool the nuts and process them until they are finely ground. Add the sugar and process again to mix the nuts and sugar well. 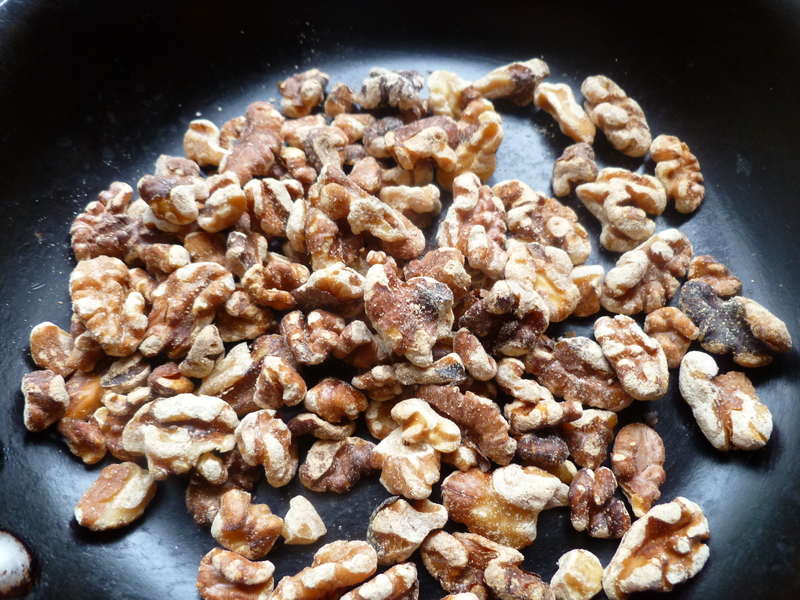 Any leftover sugared ground walnuts may be stored indefinitely in the refrigerator. 1. 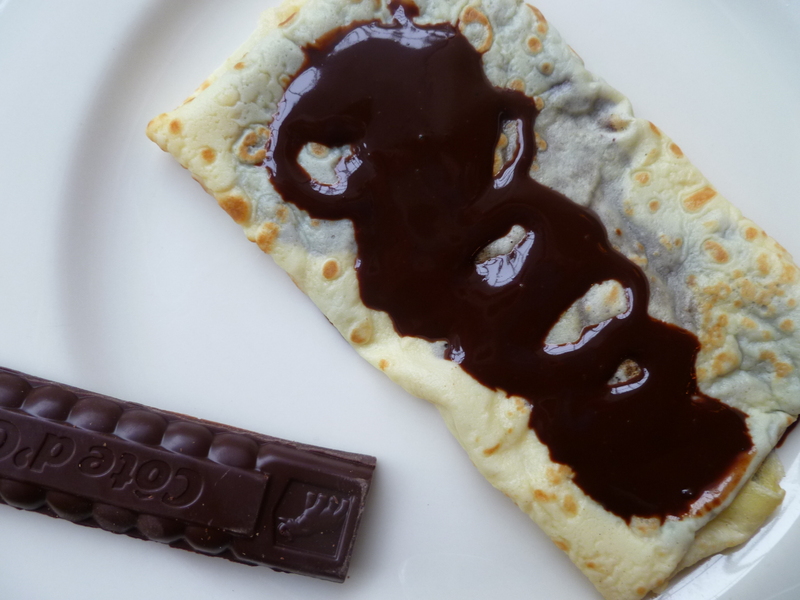 Use the Crepes, as they are, at room temperature or, alternatively, warm them in a 325 F. oven: leave them wrapped in a cotton towel, then wrap them loosely, towel and all, in aluminum foil and put them in the oven for about 15 minutes. 2. 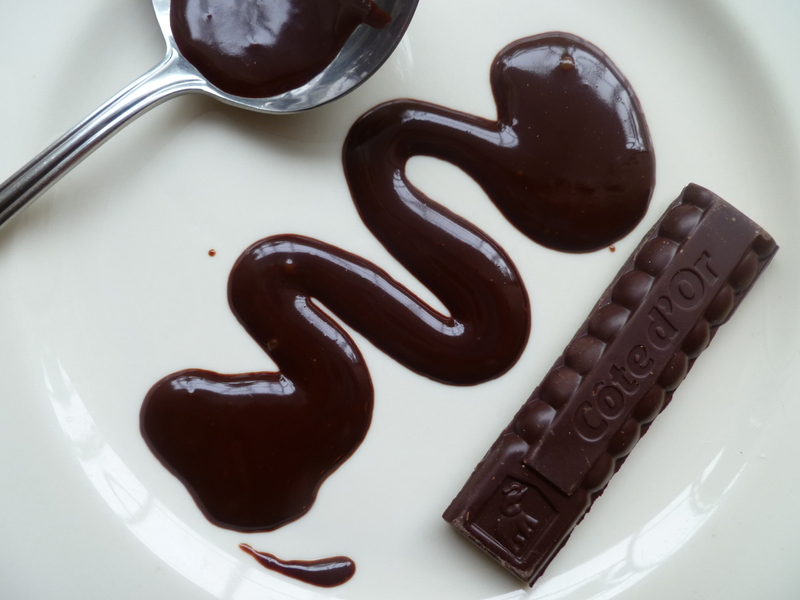 Warm the Chocolate Sauce. 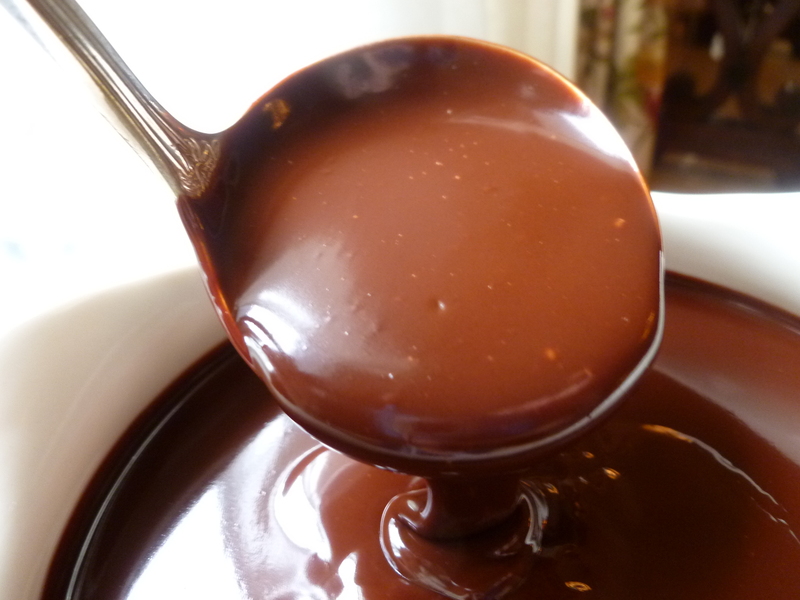 A Note: The recipe for the Dark Chocolate Sauce is adapted from one in The Dione Lucas Book of French Cooking (1973). 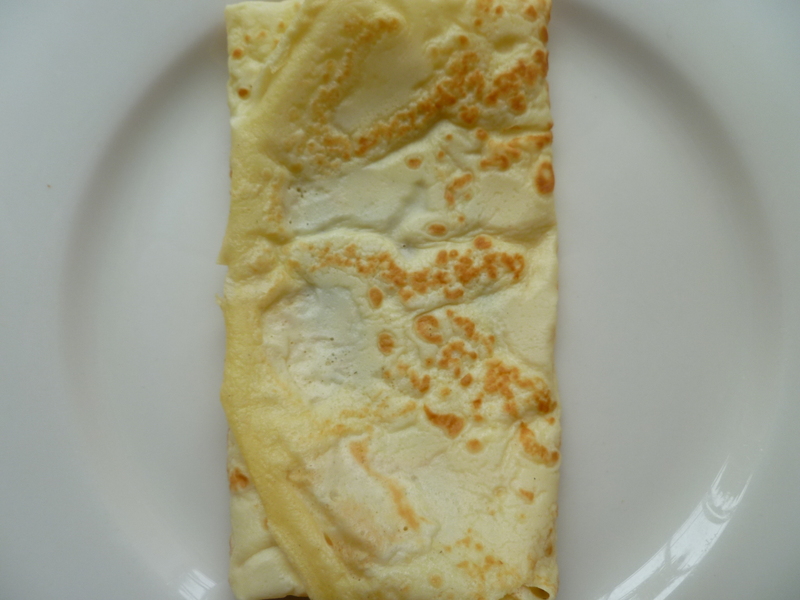 The crepe recipe comes from Menus for Entertaining (1960), by Juliette Elkon and Elaine Ross. 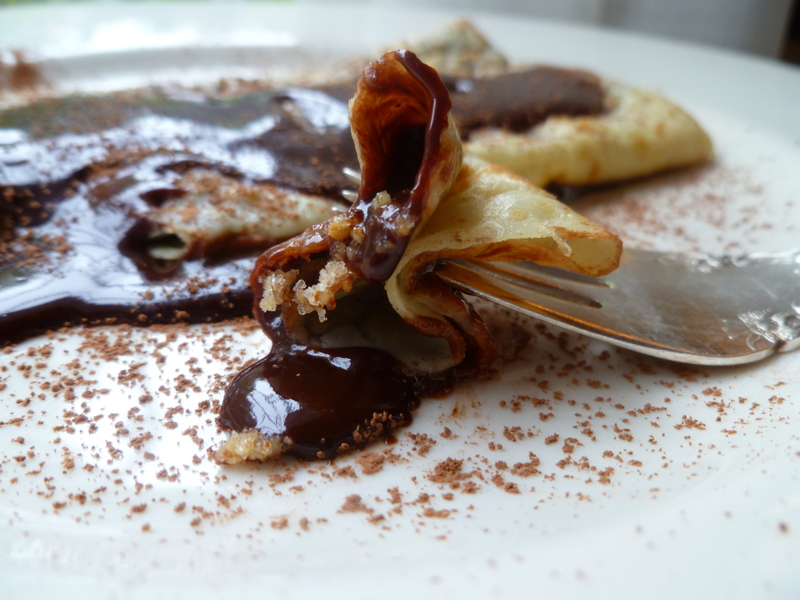 A Second Note: Hungarian Chocolate Crepes ~ Gundel’s Style is the Dessert course in the Lunch Menu: Simply Delicious Combinations. look when I get home. I’m amazed at how fast your blog loaded on my phone .. I’m not even using WIFI, just 3G . Hello from the Congo. I’m glad you came to the diplomatickitchen. And I hope you find some things that interest you.